Do Mormons Believe in the Virgin Birth of Jesus Christ? Yes. Latter-day Saint leaders and canonized scripture affirm that Mary was a virgin when Jesus Christ was born. Like other Christians, Latter-day Saints believe in the miraculous conception, though no miraculous means are ascribed to the method of his birth. When Matthew quoted the prophecy “Assuredly, my Lord will give you a sign of His own accord! Look, the young woman is with child and about to give birth to a son. Let her name him Immanuel” (Isaiah 7:14 Jewish Publication Society of America), he translated the original Hebrew text or used the Greek Septuagint version with one slight change. He replaced the Greek word for “young woman” with the word for “virgin,” thus reinforcing the messianic nature of the prophecy (see Matthew 1:23). Based on Matthew’s interpretation and the story found in the Gospel of Luke, Christians accepted from an early period that Mary was not only a young woman but also a virgin when Jesus Christ was conceived. Both Matthew and Luke independently reinforce each other’s story about this amazing event, providing a basis to accept that they have reported reliable historical information about Jesus. Over the centuries, some Christians have questioned Matthew’s interpretation, but it has withstood the test of time as one of Christianity’s fundamental beliefs: Jesus of Nazareth was born to a virgin named Mary. Latter-day Saints accept the New Testament as scripture and find additional validation to the concept of virgin conception in their other scriptural records. The Book of Mormon, another testament of Jesus Christ, offers the testimony of Nephi, an ancient prophet, who heard an angel declare, “Behold, the virgin whom thou seest is the mother of the Son of God, after the manner of the flesh” (1 Nephi 11:18). Additionally, Nephi rendered Isaiah’s prophecy the same way Matthew did: “Therefore, the Lord himself shall give you a sign–Behold, a virgin shall conceive, and shall bear a son, and shall call his name Immanuel” (2 Nephi 17:14). 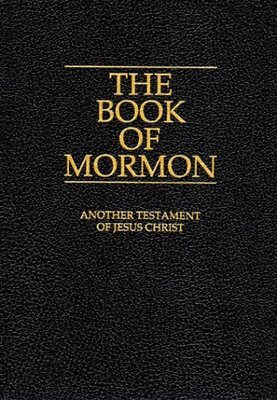 The Book of Mormon prophet Alma testified that Jesus “shall be born of Mary, at Jerusalem which is the land of our forefathers, she being a virgin, a precious and chosen vessel, who shall be overshadowed and conceive by the power of the Holy Ghost, and bring forth a son, yea, even the Son of God” (Alma 7:10). In the early days of The Church of Jesus Christ (inadvertently called the Mormon Church) some speculated about “how” God accomplished this miracle, much as Jews and Christians have attempted to identify how God used natural law in the case of the Flood, the dividing of the Red Sea, or the gift of manna in the wilderness, believing that miracles conform to natural laws that are hidden to mortals. Despite any attempt to explain “how,” the Church has consistently taught that the Jesus Christ was the unique Son of God—different from all other mortals who had lived, were living, and would yet live. Current official Mormon Church doctrine and teachings by Church leaders in public and private let the scriptural record stand without commentary, accepting that “with God nothing shall be impossible” (Luke 1:37).